As the theatrical licensing division of Rodgers & Hammerstein, R&H Theatricals serves both our customers, representing over 50,000 theater organizations worldwide, and the copyright owners, comprised of the authors and rights holders of our musicals. R&H Theatricals is the liaison between those who own the musicals we control and those who wish to present them. On behalf of the copyright owners, we issue performance licenses to our customers granting the live stage production rights. 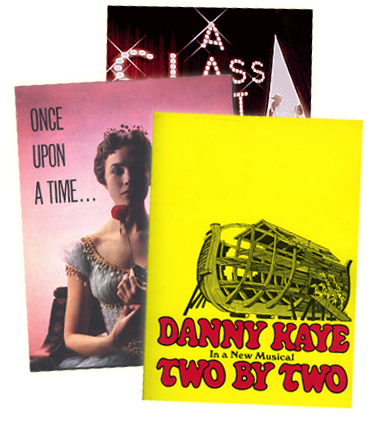 We also provide, on a rental basis, the authorized printed materials required to rehearse and present these musicals. Our extremely wide range of customers includes elementary, middle and high schools; European producers, summer stock and dinner theaters; colleges and universities; regional theaters and opera companies; community, civic and religious organizations; youth theaters, cruise ships, casinos, hotels and producers of touring, Fringe and Off-Broadway productions. Our customers encompass anyone and everyone who desires, anywhere in the world, to experience and share the joy of live musical theater. R&H Theatricals and R&H Theatricals Europe are divisions of Rodgers & Hammerstein: www.rnh.com. The music publishing division of The Rodgers & Hammerstein Organization, Williamson Music Company was founded in 1945 by Rodgers and Hammerstein (both sons of men named William), and brought in-house in 1988. Williamson Music (ASCAP) and R&H Music (BMI) currently represent such diverse catalogues as those of Richard Rodgers, Oscar Hammerstein II, Lorenz Hart, Irving Berlin, T. S. Eliot, and Sheldon Harnick. Equally committed to nurturing new talent, their current roster also includes writers John Bucchino, Joe DiPietro, Ann Hampton Callaway, Ricky Ian Gordon, Adam Guettel, Jimmy Roberts, David Zippel and the AVENUE Q songwriters Robert Lopez and Jeff Marx. Welcome to the home of Irving Berlin, who wrote over 1200 songs for the stage and screen. His timeless breadth of work includes "White Christmas," "Easter Parade," "Always," "Blue Skies," and "God Bless America." The R&H Concert Library licenses concert performances of works by such renowned musical theatre writers as Richard Rodgers, Oscar Hammerstein II, Lorenz Hart, Irving Berlin, Michele LeGrand, Adam Guettel, Jerome Kern, Kurt Weill and Cole Porter.